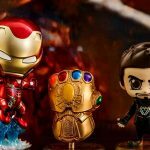 When we went thru the list of Avengers: Infinity War collectibles unveiled by Hong Kong toy maker, Hot Toys, we noticed that the star of the show, Cap, was not present. Well, he wasn’t in the 1/6th scale collectible figures lineup anyways. 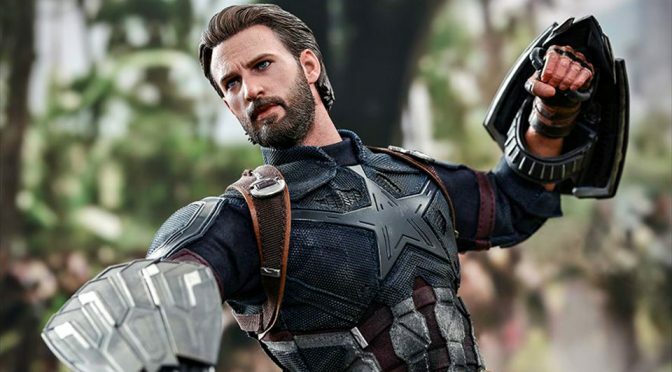 As it turns out, Hot Toys may have saved the last for the best because, Cap was finally unveiled last week in an item refer to as Hot Toys Avengers: Infinity War Captain America (Movie Promo Edition) 1/6th Scale Collectible Figure. And man, it is sure a 1/6th scale that would make fans giggle with excitement. 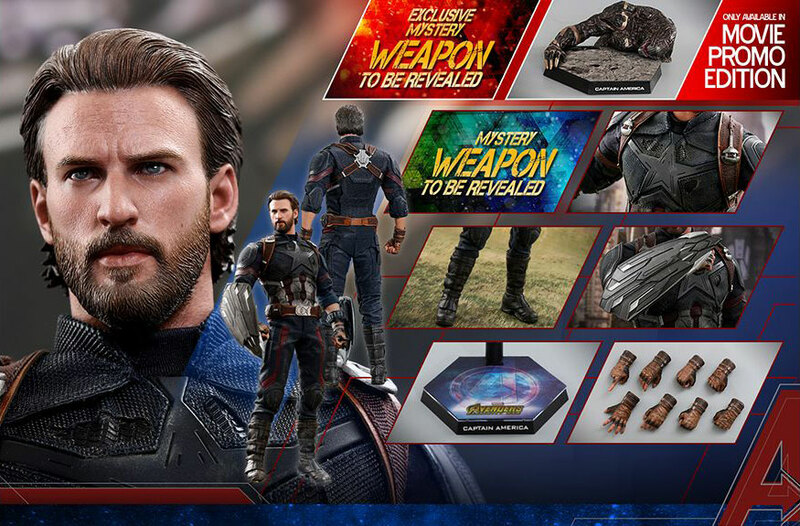 As expected, the collectible figure sports a head sculpt in the likeness of Chris Evan, who played Steve Rogers, AKA Captain America, in the movie. 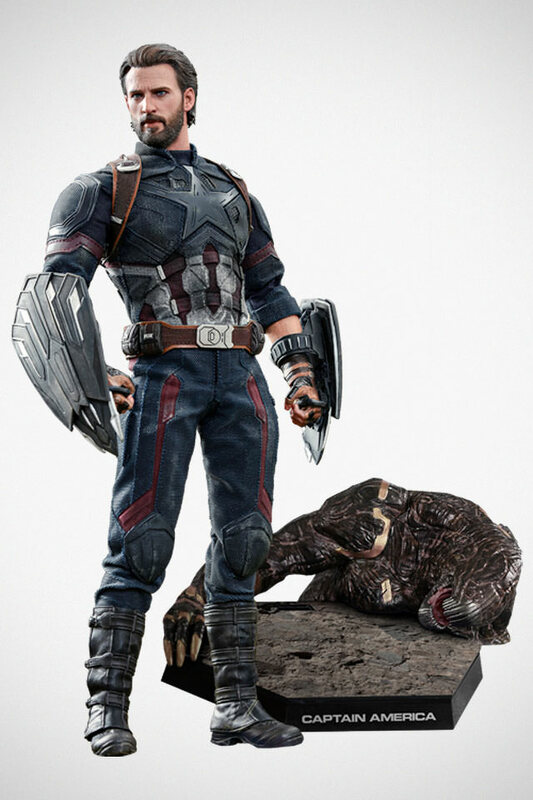 Featuring a rugged bearded Chris, this 12-inch tall posable figure boasts a newly developed body with over 30 points of articulation, movie-accurate facial expression with detailed hair, beard and skin texture, and an accurate depiction of Cap’s new uniform he will be wearing in the movie. But this time round, Cap is missing the Stark Industry shield because, he ditched it in the last Captain America movie. 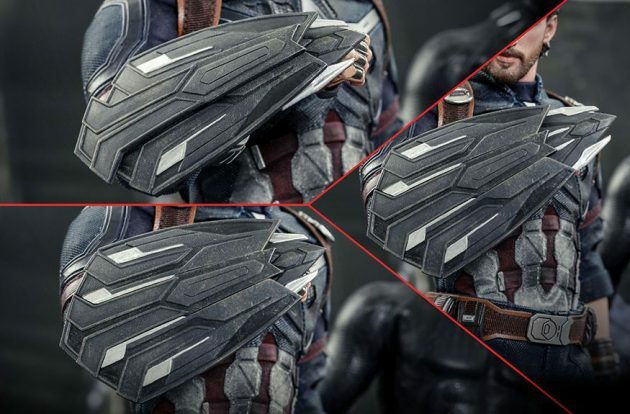 In place of the shield, this figure features Steve bearing two shields gifted to him by T’Challa, AKA Black Panther, who hosted him when Cap and Bucky took refuge in Wakanda. 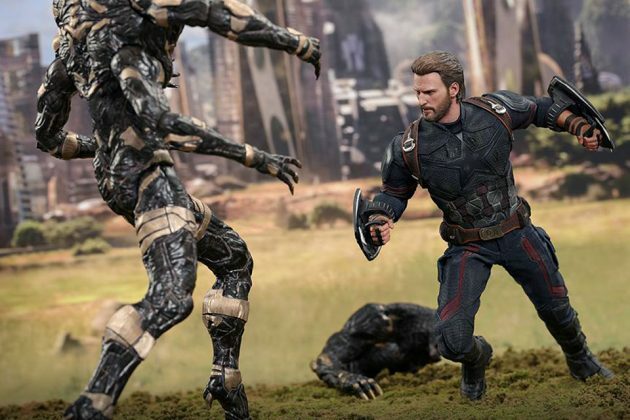 Completing the Movie Promo Edition is an exclusive Outrider diorama which is attachable to the figure stand and a Mystery Weapon which will only be revealed after the movie hits the theaters. Of course, with this figure, you can also expect the usual interchangeable hands, but really, those are about it. 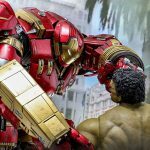 Probably a little too sparsely outfitted when compared with its counterpart like Iron Man and Thor. 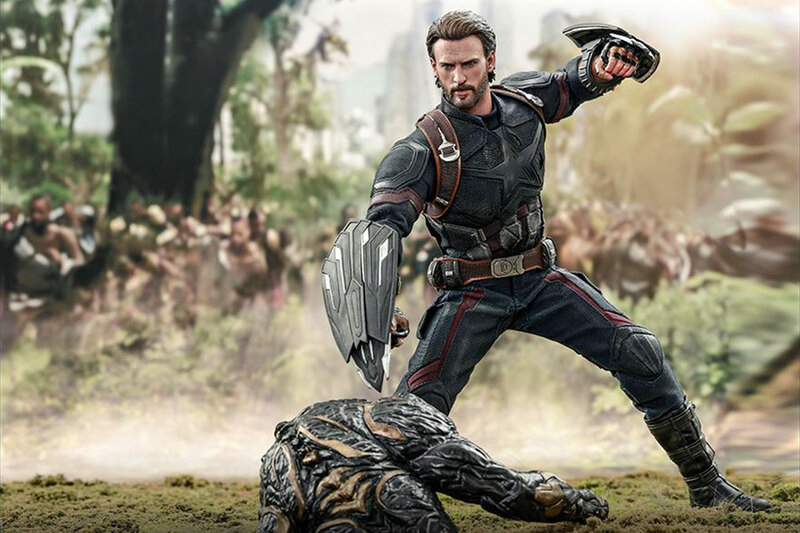 Hot Toys Avengers: Infinity War Captain America (Movie Promo Edition) 1/6th Scale Collectible Figure is open for pre-order through various retailers, including Sideshow, with an asking price of $267. But the caveat here is, it won’t arrive until April-June 2019. Why? Don’t ask. 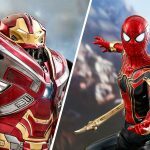 That seems to be a norm with Hot Toys since like forever.